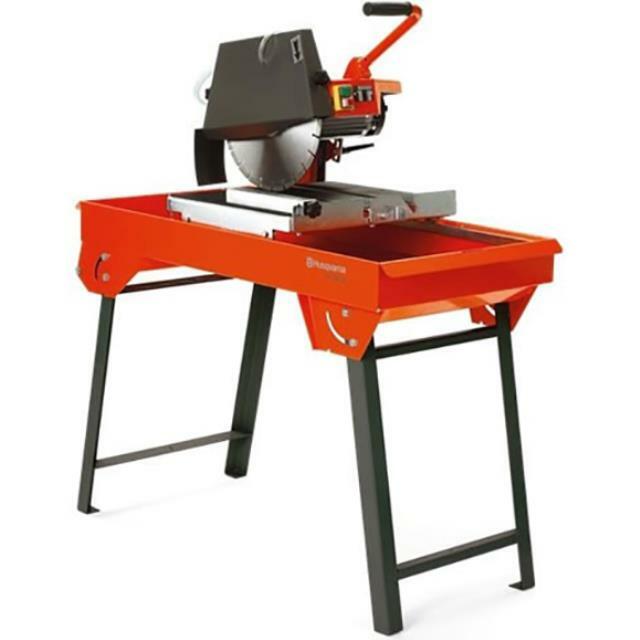 Uses: Used for cutting bricks, pavers and blocks up to 600mm wide. Features: Electric. Folds down for easy transport on a trailer or back of car. Can cut angles and bevilles. Special Requirements: Must have running water available whilst cutting.